FAYETTEVILLE, Ark. 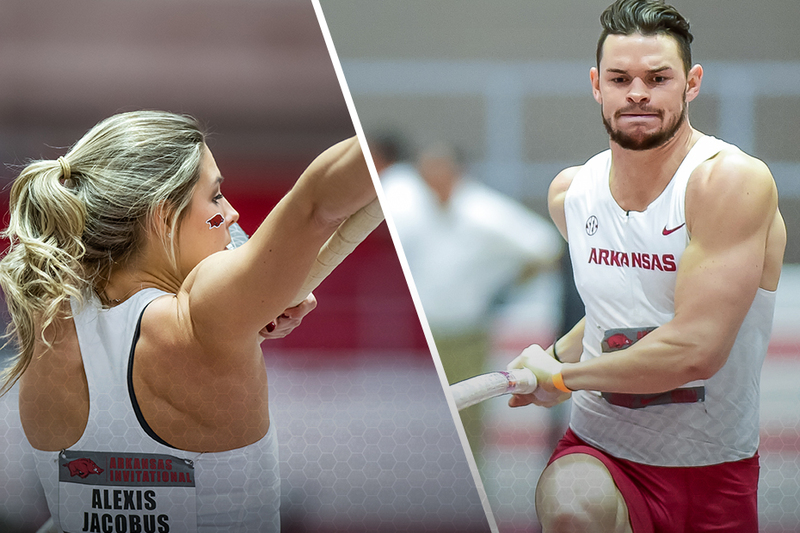 – This past weekend Arkansas’ men’s and women’s track and field teams opened the 2019 indoor season hosting the Arkansas Invitational at Randal Tyson Indoor Track with several athletes turning in top marks in the NCAA. Lexi Jacobus, once again, leads the NCAA in pole vault following her clearance at the season-opening meet. Jacobus cleared 4.49m (14′-8.75), a bar that not only leads the NCAA but is the fourth-best mark in the world in 2019 according to IAAF.org. Tori Hoggard is close behind sister Lexi with her clearance of 4.44m (14-6.75) that is currently the second-best mark in the NCAA. Staying in the pole vault group, Desiree Freier is currently the No. 4 vaulter in the NCAA with her mark of 4.34m (14-2.75). 2018 NCAA 60-meter hurdle champion Payton Chadwick opened her season with the second-best 200-meter time in the nation running 23.35, while also recording the No. 18 time in the 60-meters running 7.40. Janeek Brown and Kiara Parker also recorded top-20 times in both the 60-meters and 200-meters this past weekend. Brown is currently No.. 11 in the 60-meters (7.37) and No. 6 in the 200-meters (23.51), while Parker is No. 5 in the 60-meters and No. 9 in the 200-meters with times of 7.26 and 23.65, respectively. Native Arkansan Jada Baylark posted the No. 6 time in the nation in the 60-meters as she coasted to a time of 7.27 seconds. One the men’s side, Erich Sullins extended his program record in the men’s weight throw with his mark of 21.08m (69-2) that is ranked eighth in the NCAA. 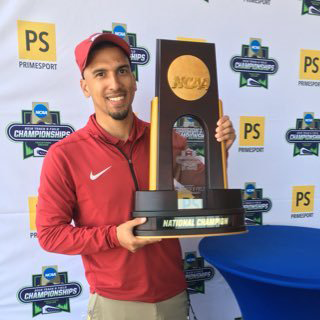 According to Track & Field Results and Reporting System (TFRRS) Arkansas currently has 16 student-athletes ranked in the top-20 of the NCAA, while the Razorbacks boast 36 top-10 performances in the SEC with four of those performances leading the conference.